The top two teams from the outset of the Scottish Championship season face off on Sunday – but the stats say that there is a real separation between the two. The difference between Expected Goals for & against is the biggest tell. 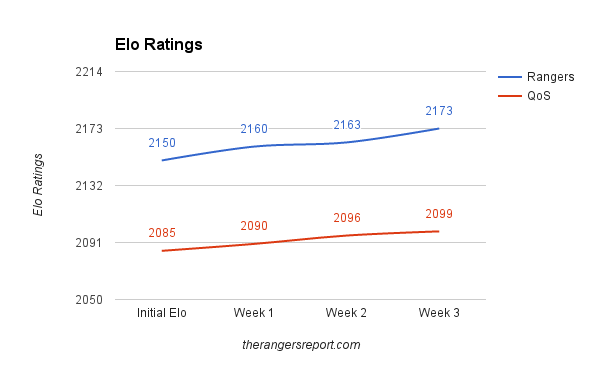 Rangers have a +6.73 differential, while Queen of the South have a +1.73 difference. In terms of actual goals, the difference is closer – seven for Rangers & five for Queen of the South. Probably the biggest factors in the Expected Goals data is the sheer volume of chances created by Rangers. In three matches, Rangers have 19 more shots then Queen of the South. However, both teams have been excellent in limiting scoring opportunities. Rangers have allowed four shots on target & Queen of the South has allowed eight. So, while Rangers are off to a dominant start to the season, Queens could be a real test if they can stifle Rangers opportunities. Iain Russell – has three goals in first three games & averages 3.05 shots per 90 minutes. Derek Lyle – has two goals & averages 3.14 shots per 90. Lyle & Russell are carrying Queens offensively, accounting for 51% of their shots, 62% of their shots on target, & five of their six goals. Robbie Thomson – the 22 year old former Celtic youth keeper is off to a very stout start for Queens. After finally getting the opportunity to be a firm #1 keeper with Cowdenbeath last season, Thomson has been solid for Queens after three matches. He has only allowed one goal off of eight shots on target. He picked up a knock in the last league game but played mid-week so expect to see him in goal on Sunday. 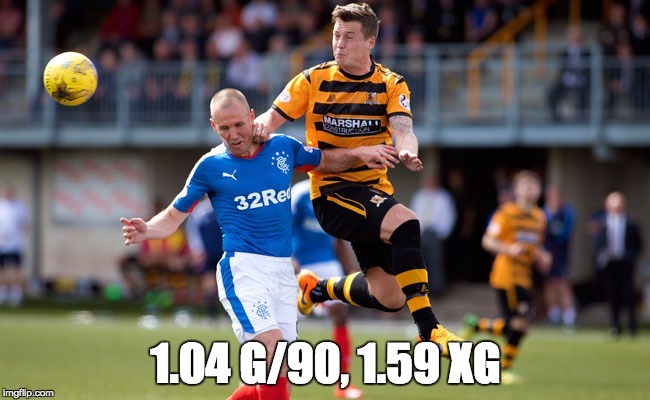 Kenny Miller – despite only playing two matches, the veteran leads Rangers with 1.59 Expected Goals. 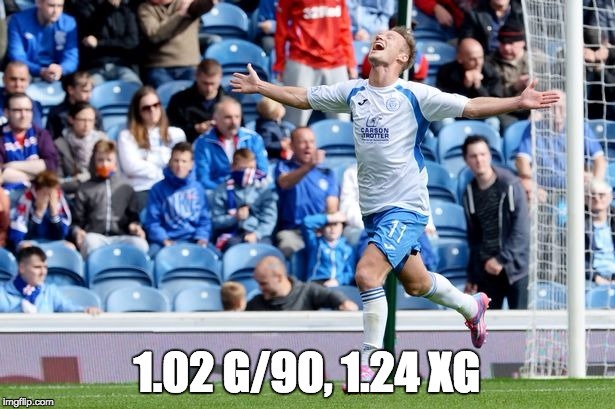 He is averaging 4.16 shots per 90 (second only to Tavernier) & 63% of his shots have been on target. A big part of his success has been getting shots in dangerous areas. Five of his eight shots have come in either High Danger or Very High Danger areas – basically he is getting into the heart of the penalty area & the results have led to a new lease on life for Miller.